Be the envy of your friends with these awesome Star Wars Chewbacca Grin Cufflinks. Bring your favorite Wookie home or to important events. 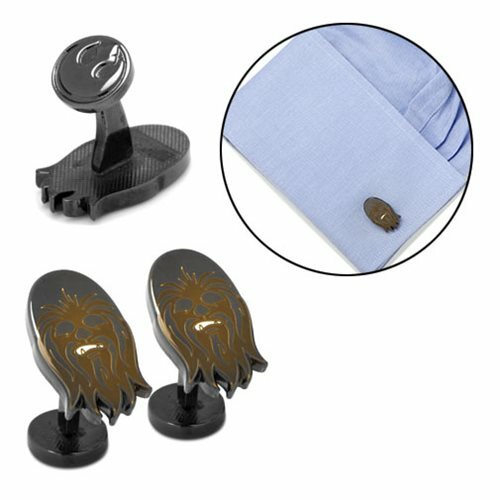 This unique cufflink features Chewie's iconic snarl and is made with black plated base metal and enamel. They measure approximately 7/8-inches x 1/2-inches.